*While supplies last, purchase RABBIT: CHASING BETH RIDER 6x9 paperback (signed by author by request) and receive a FREE copy of LOOSE RABBITS OF THE RABBIT TRILOGY 6x9 paperback (20 Delicious Tales featuring the characters of the Rabbit Trilogy, with priceless background info on the plots of all three novels). 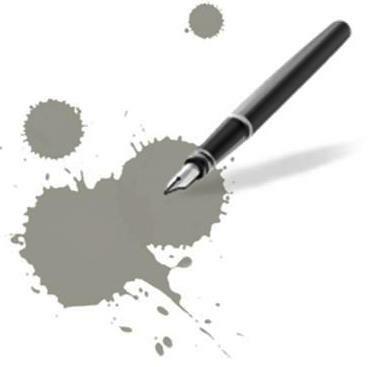 $16 covers the cost of the book(s) and shipping and handling in the USA. PURCHASE BELOW! 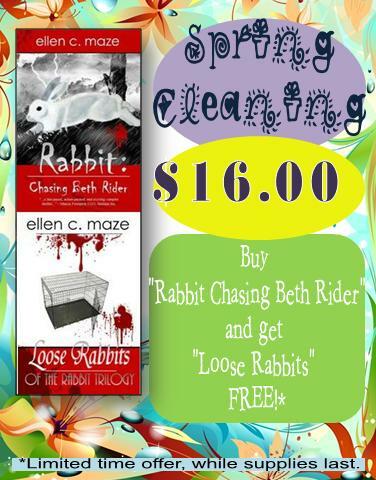 Buy RABBIT: CHASING BETH RIDER & get LOOSE RABBITS Free! New, Signed copy of "Rabbit: Chasing Beth Rider" 6"x9" and a FREE copy of "Loose Rabbits" 6"x9" paperback. Includes shipping and handling within the USA.